Traumatic events were once thought to be rare in most people’s lives. However, since the 1980s research has revealed not only how common they are but also the deep-seated effects trauma can have. Professor Anke Ehlers (University of Oxford) gave a joint British Academy and British Psychological Society lecture at the Royal Society on her work on post-traumatic stress disorder, its invasive symptoms and promising results of treatments. Ehlers, who is also co-director of the Oxford Centre for Anxiety Disorders and Trauma, outlined a World Health Organisation survey of 70,000 people which showed 70 per cent reporting a traumatic event at some point in their lives. The average was three traumatic events across the lifespan. The most common events were found to be the unexpected death of a loved one, seeing harm done to others and road accidents. Interpersonal violence, particularly sexual violence, posed the greatest risk for development of PTSD. 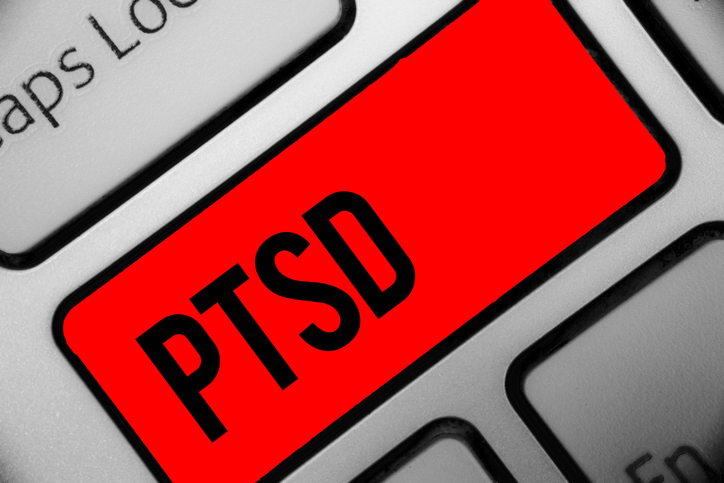 Perhaps the most characteristic symptom of PTSD is vivid flashback-type memories – people feel as if they are reliving part of their traumatic experience. The condition also often leads people to develop avoidance behaviours in an attempt to escape reminders of the event, hyperarousal and problems with concentration. However, not all people will develop PTSD after trauma, and people can be resilient even in the face of PTSD symptoms. The WHO study also found that a significant group of people with PTSD will recover within a year with no professional help. Ehlers said all of this has raised many questions – why, after experiencing the same event, do some people develop PTSD and some don’t? Why do some people not recover? And, from a psychological perspective, anxiety is seen as fear about the future – so why do people have anxiety around an event in the past? In work with David Clark, Ehlers suggested that people with PTSD experience a feeling of threat in the present and this comes from two sources – the qualities of memories of the trauma, and negative appraisals after a traumatic event. The nature of trauma memories can be vital in the treatment of PTSD. The recurrent, intrusive memories experienced after trauma often involve very fleeting moments of an event and people experience the same emotions they did at that time. Ehlers suggested these memories maintain their ‘here and now’ quality. The memory for the worst moments of a traumatic event have not been joined up with the factors a person has learned since, and this lack of context maintains the threatening emotional reaction. For example, someone may have been threatened and felt weak for not fighting back, but they fail to take into account the fact their attacker had a knife. People take many meanings from such events but some will feel it reflects on them as a person – as if they attract disaster, or that they can trust no one, that they are weak if they didn’t fight back. Indeed research has shown that those with PTSD are more likely to endorse those kinds of beliefs compared to those who have experienced trauma without having PTSD. The meaning people take from a trauma then affects how they relate to it in their memories. This can cause confusion over the order of events or gaps in the memory, and people may reach conclusion that the event was their fault. In work which examined the narratives people give when asked to tell the story of their trauma, those with PTSD were found to have more disorganised narratives with missing pieces of information and gaps. Interestingly those disorganised parts of the narrative are often specific to the parts of a memory which later become flashbacks. Those who have trauma but not PTSD do not tend to have those disjointed memories. These findings have all fed into a treatment programme developed by Ehlers and her colleagues – cognitive therapy for PTSD. In part of this treatment people with PTSD are asked to hold the worst moments of their trauma in mind and link those with new information. For example if someone felt they were going to die, a therapist will help them to link that to updated information – in this case ‘you did not die’. In a study using sleep diaries, people with PTSD received this part of the therapy on a daily basis and there was an increase of 40 minutes in their length of sleep from one day to the next. People with PTSD will often experience these intrusive memories when faced with an external trigger. This can be a good place to intervene with cognitive therapy. However it is not always obvious what these triggers may be; they may not be directly linked to the trauma itself. Certain body movements, smells, a sensation or even colour could be enough of a trigger. Ehlers said some established concepts within psychology can help explain this. For example, perceptual priming makes us more likely to recognise certain cues after having experienced them before; and generalisation (the linking of emotional responses to cues in the memory) can lead to poor discrimination between reminders of a traumatic event and the original trauma cues. Ehlers used a ‘blurred picture task’, showing people with PTSD (and those with trauma but no PTSD) photographs of trauma-related scenes such as car accidents, generally threatening pictures and neutral pictures. People with PTSD were better at identifying trauma-related blurred photos than those with trauma alone, and neutral photos were more easily identified by people who did not have PTSD. These findings have also fed into therapy, to help a client identify their triggers and challenge them. If, for example, someone associates the smell of a candle burning with a house fire the therapist will bring in a match and ask a patient to talk about everything that is different between the candle and a real house fire. This helps patients understand they are responding to a memory, rather than anything in the present. In a randomised control trial Ehlers and colleagues compared weekly cognitive therapy for PTSD with other therapies and found good results with cognitive therapy at follow-up. Intensive, daily cognitive therapy shows even faster recovery times. An online version of cognitive therapy for PTSD, which still includes input from a therapist, has shown promise in a pilot and is currently being tested in a randomised control trial.